A standard logo printed free of charge. (See Online Resource for logo chart). “Return Service Requested” printed Free! 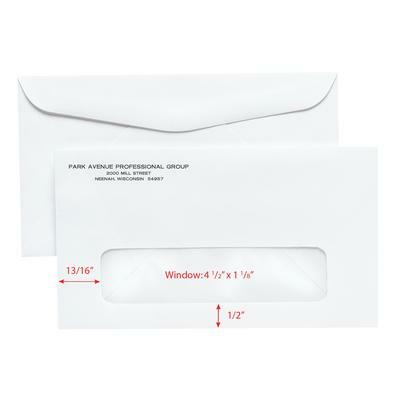 Envelopes may have +/- 1/16" variance in window size and/or placement.